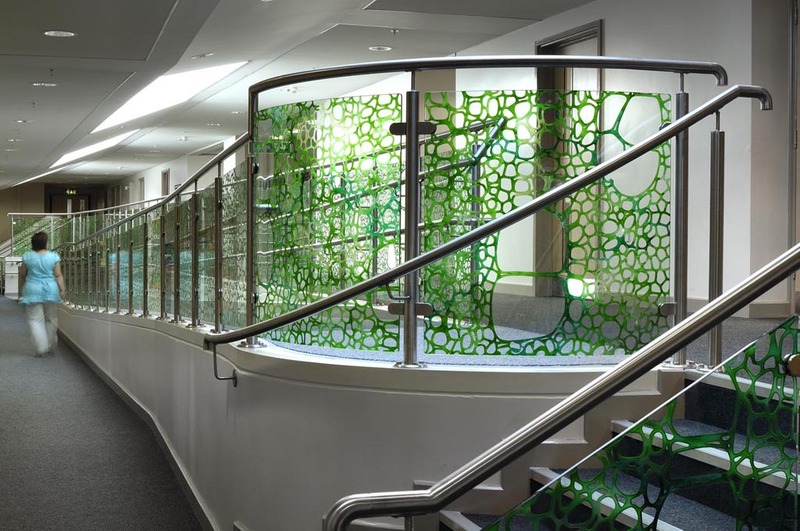 A series of internal artworks created for a new primary school in Epping Forest which brought together the previously separate infant and junior schools into one shared building. 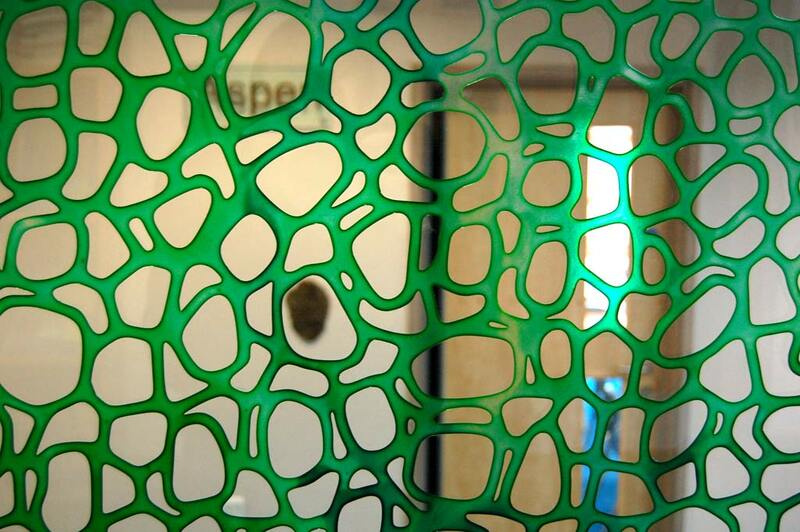 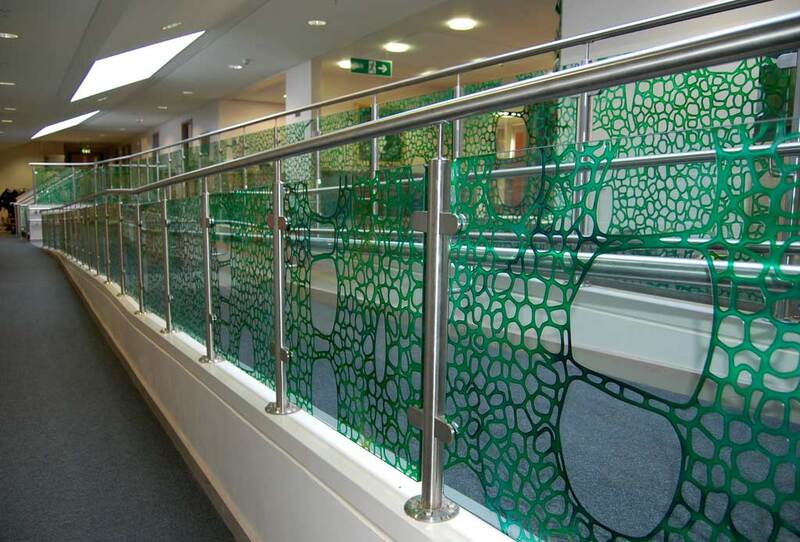 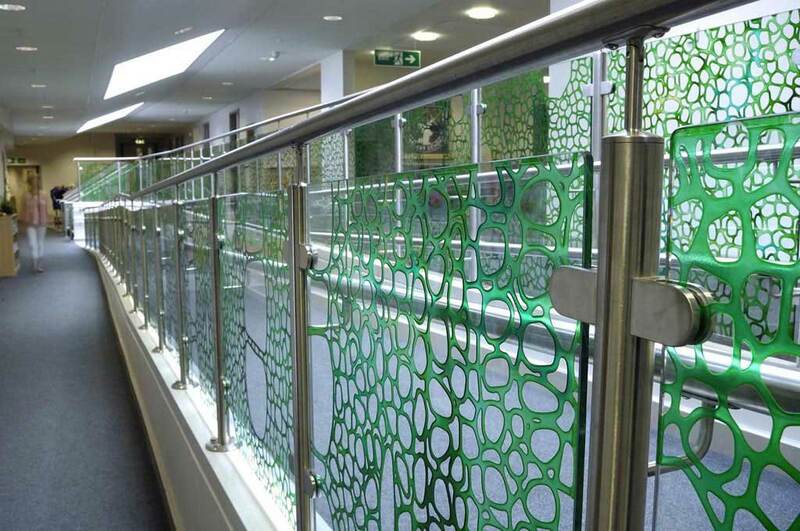 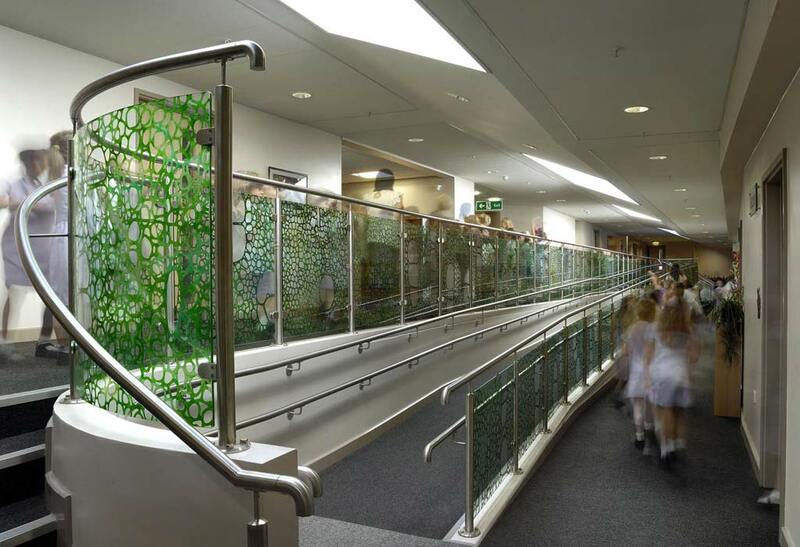 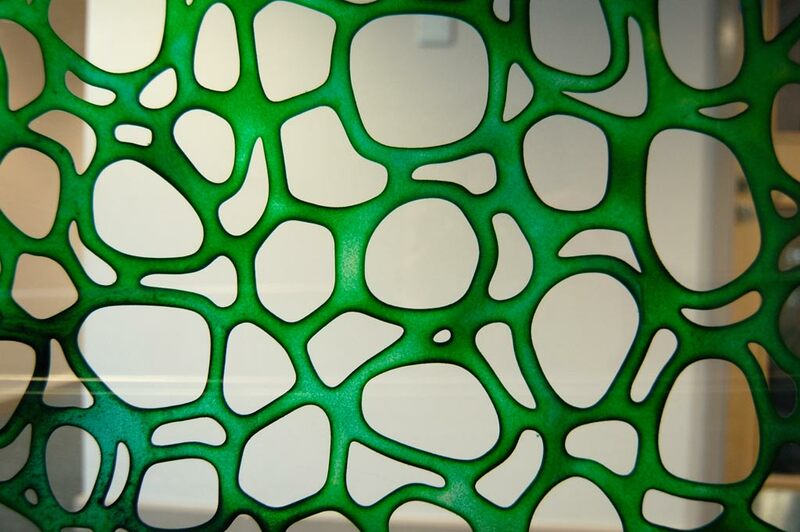 The glass panels in the central corridors balustrade were carved glass and infilled with coloured resin and the design was derived from microscopic images of Hornbeam wood cells. 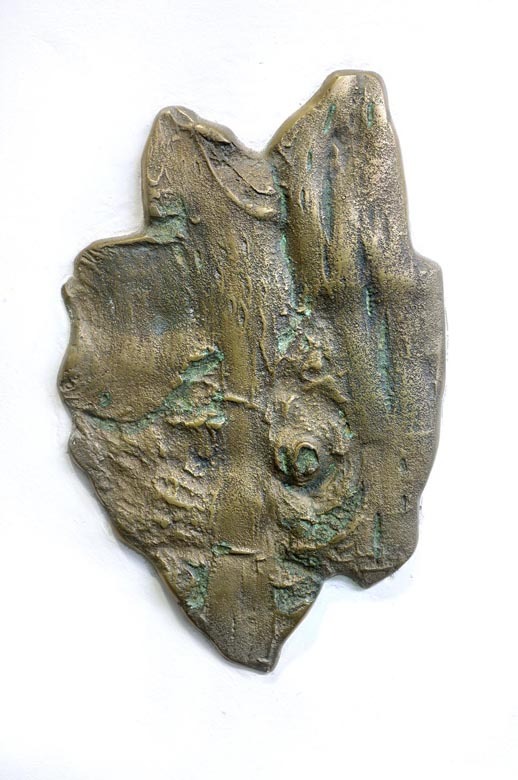 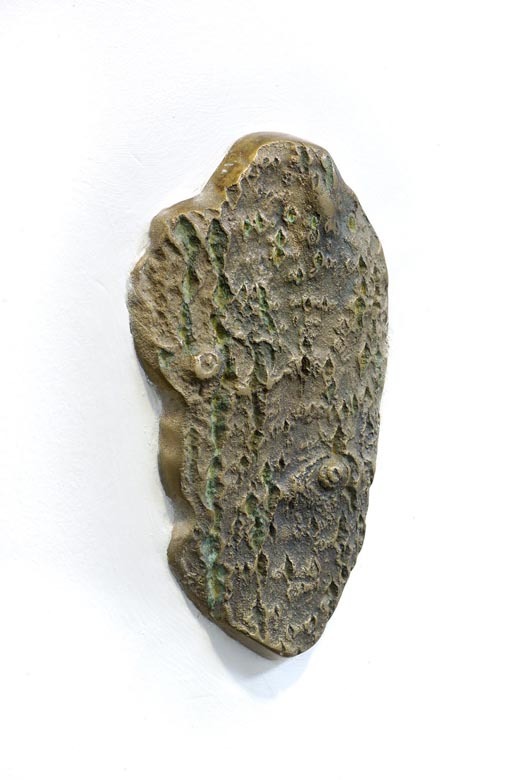 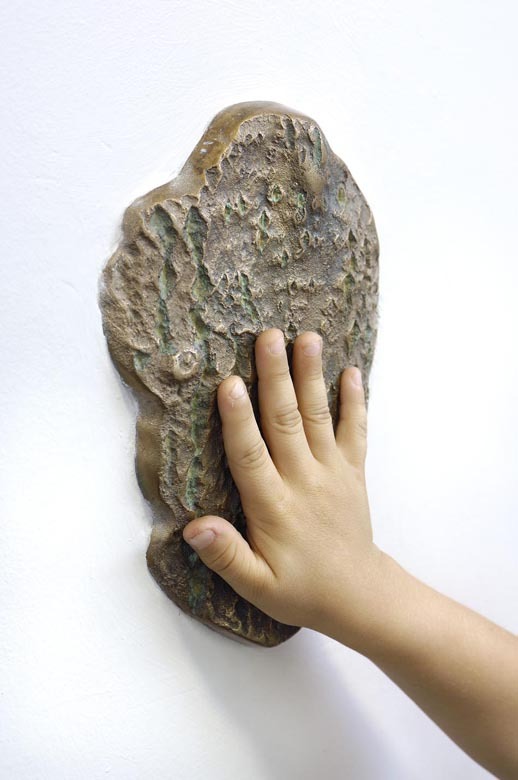 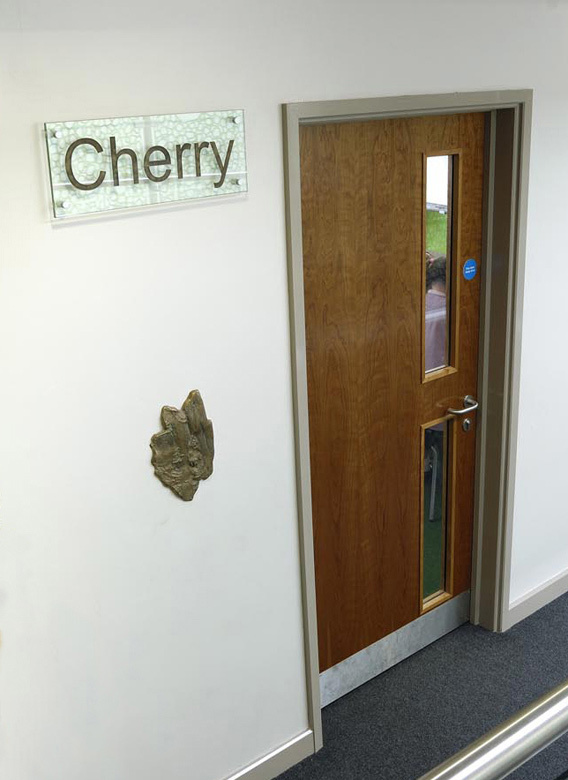 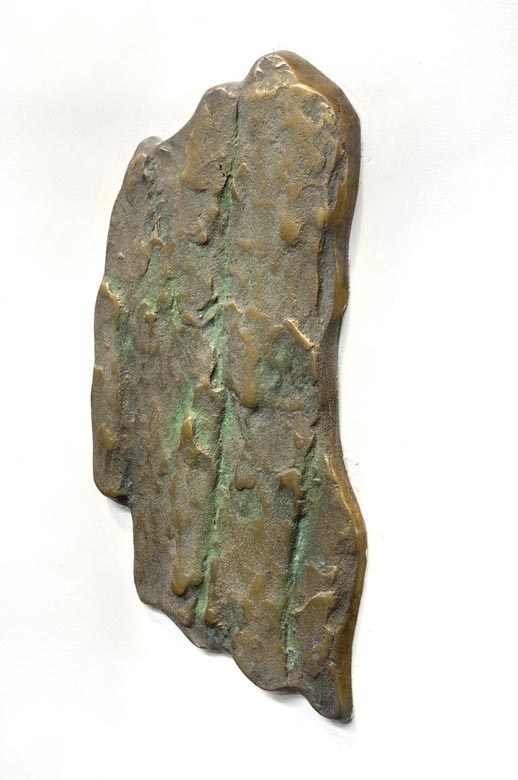 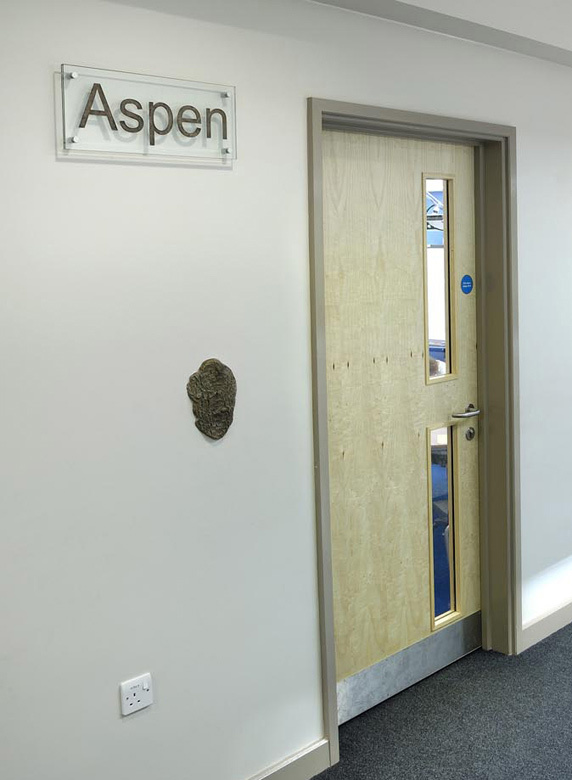 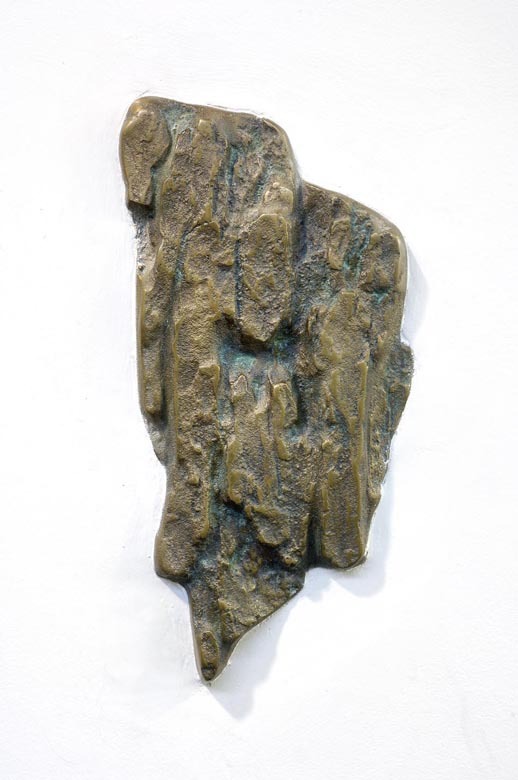 Each of the fourteen classes in the school were named after a tree from Epping Forest and Sections of each tree’s bark were cast in bronze and set into the wall adjacent to the class doors which were veneered in the bark of the class tree. 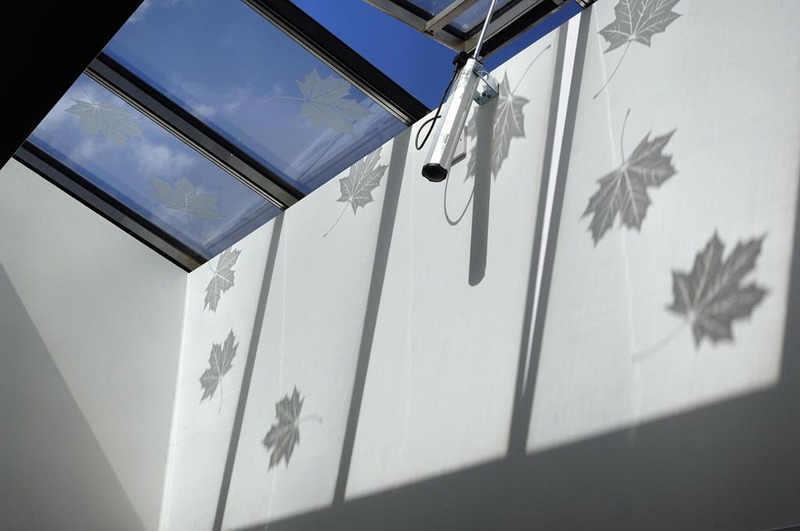 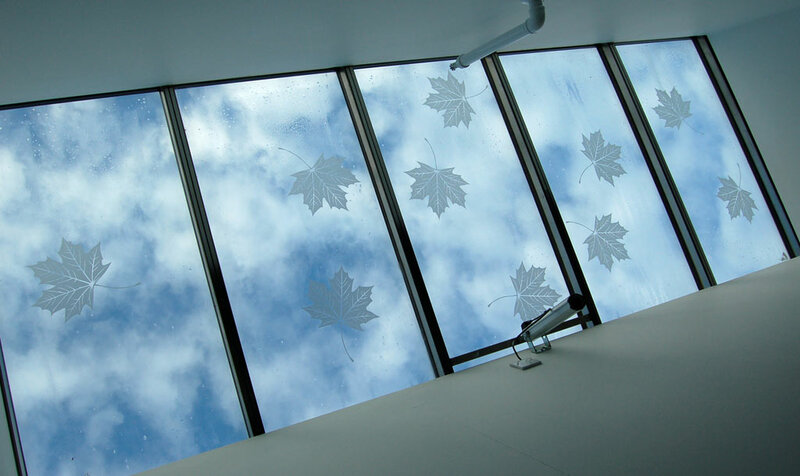 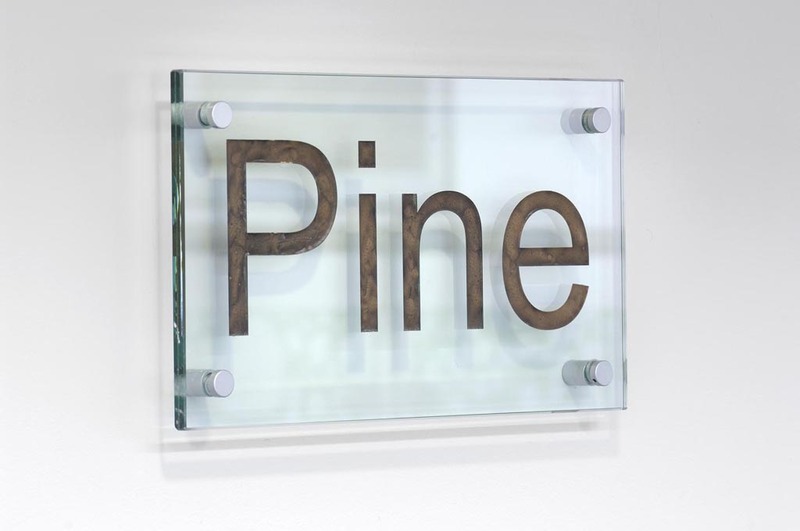 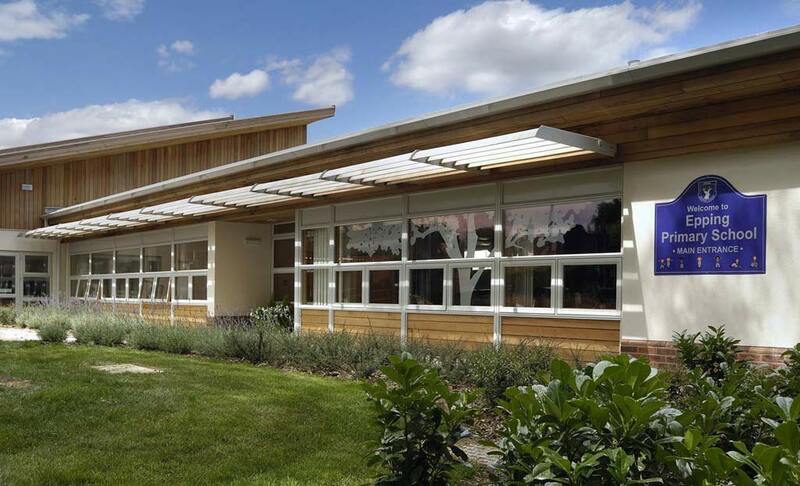 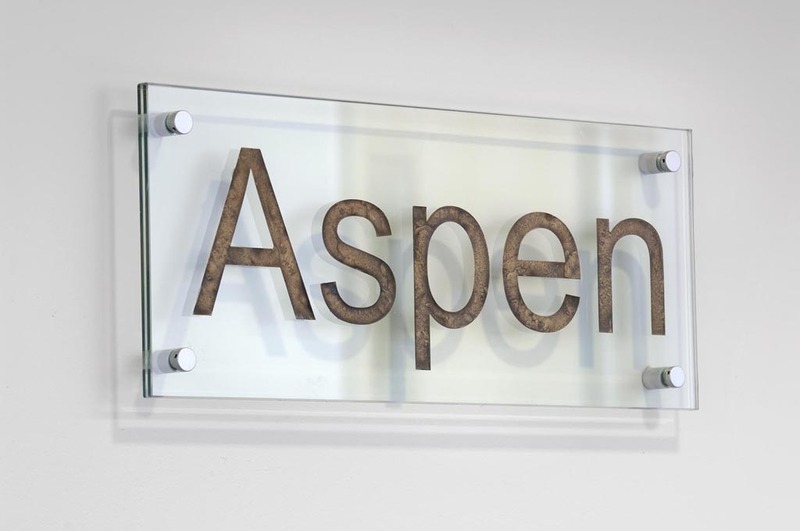 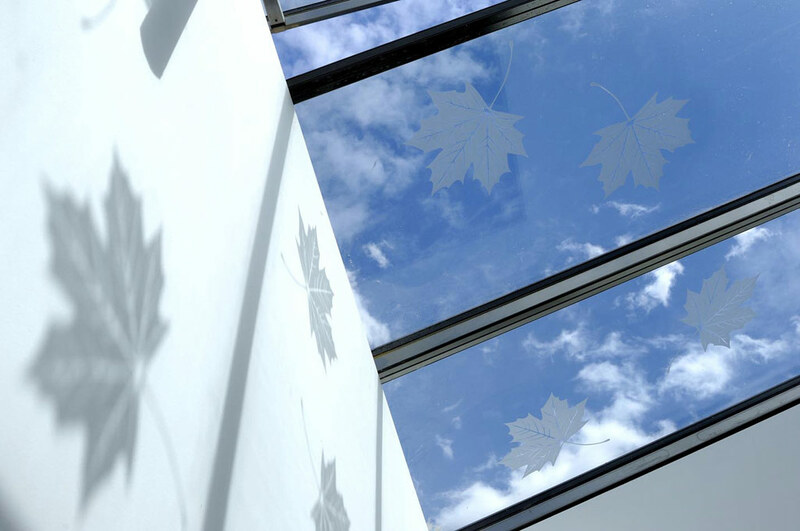 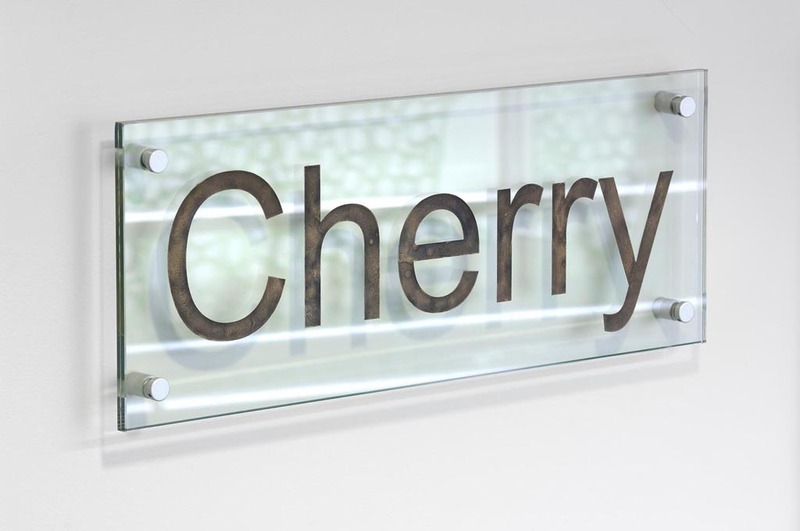 Class name signs were carved into glass panels and infilled with resin bronze and other forest images were applied in vinyl to prominent windows and skylights.